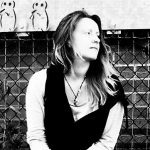 Providence is a stand out folk release for 2018 for so many reasons. Not merely offering story-telling or melodic hypnotism, not simply exercising musical ability or an inclination to entertain, Gordon Thomas Ward brings together so many uplifting elements that work in unity to build around you an emotionally poignant and truly artistic playlist. Acadia Lament – Names Into Stones sets the EP in motion and boldly offers the power of passionate instrumentation and soundscape crafting to introduce the piece. A thoughtful and mildly melancholic ambiance surrounds you, crisp and satisfying yet perfect for escaping within should the day get a little too noisy. Following this, the melodic or lyrical aspects of the song emerge, adding a certain authenticity and joyfulness to the experience. Whenever you attempt to get (or fall victim to becoming) complacent, something unexpected smashes onto the scene – the electric guitar solo, in this case, and the switch from that opening atmosphere to the rhythmic, medieval bounce that comes afterwards. Destiny fills in the quiet left after the opener with a relevant level of delicacy and organic, acoustic musicality. This feels like an intimate, up close and personal performance. Ward’s voice feels gorgeously honest and actually reminds me briefly of The Eagles. The story-line here is as open and scene-setting as you’d hope, the artist paints a clear and genuine picture, and the music flawlessly supports each passing idea. Just One More feels like a natural progression within the project and offers a tale of love and equally captivating scene-setting. Ward carefully balances the personal with the widely accessible, partly observing and partly involving himself in the world around him. The softness of this song is beautiful and strangely comforting in its simplicity. Certain lyrics really work to inspire and energize in a subtle but wonderful way. The Horseman brings back the classic folk edge and twang, a song loaded with energy and anticipation, a total highlight for its placement and its Seth Lakeman-like structure (the Kitty Jay days) – the short verse lines, the poetry, the striking imagery, the pauses, the highs contrasted with the lows. This song is powerful and Ward’s leading vocal performance showcases the perfectly rising levels of intensity with skill and relevance. The ongoing string part adds something of a seductive and stylish dynamic that entrances and draws you further and further into the song. Providence comes to a close with perhaps its most compelling song of all. One Kiss sets the scene from the offset with a stunning acoustic guitar part, followed by a carefully detailed and interesting story-line that again fuses the personal – the truth of the experience – with something that feels as if it could happen to any of us. The change from the detail of the verses to the simple repetition of the hook makes for something that resolves and satisfies in a bright and beautiful way. There’s so much space within this final song but this simply leaves room for the artist’s passion and rising emotion to shine all the more brightly. It feels like a personal performance, a live, solo-acoustic offering that later evolves to seem like a personal declaration to the listeners. The ideas inspire hope yet again, a delicate level of motivation and understanding – it makes you feel as if everything will be OK. The final lines round up the story and the experience in a heart breaking way, but the realness and loving nature of it are mighty – the song makes sure to leave its mark, and a single listen is far from enough. 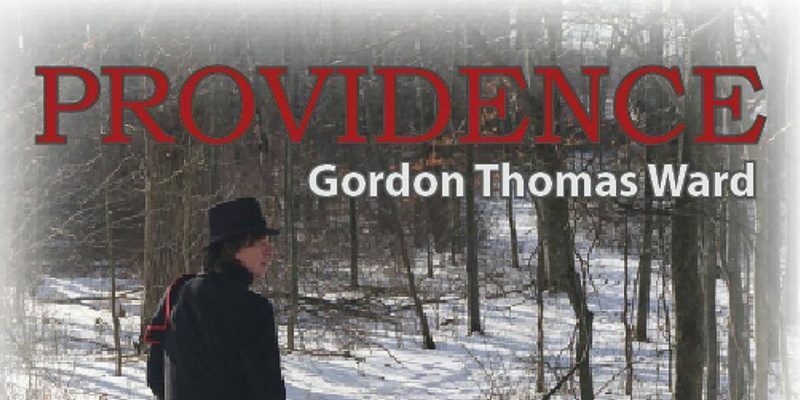 Providence is an easy must for fans of heartfelt songwriting and considerate musicianship. Find & follow Gordon Thomas Ward on Facebook & Twitter. Visit his Website for more information.